MVUC helps you manage parts of your church life securely and privately through an application called Access ACS. This application allows you to see and update certain membership and contribution information in our church database. Note: Access ACS is for members and friends of MVUC only. 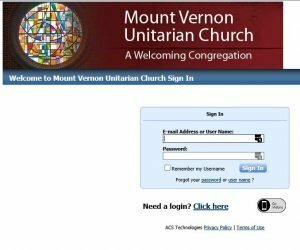 If you wish to use the online resource and be included in the church directory, please contact Linda Burke, membership@mvuc.org. Click here or on Member Login at the upper right corner of any MVUC web page. The Access ACS login screen appears. If this is your first time using Access ACS, click on the Need a login? link to register. Enter your e-mail address and name, as they are in the church database, and click on Find Me. Under the Home menu, choose My Profile. View the information you want to change. Under the Home menu, choose My Overview. Notice the Search box on the right-hand side. Enter the last name and/or first name of the person you are looking for. The contact information for persons matching your search appears. Notice the My Groups box on the right-hand side. A list of all groups you belong to appears. Under the Home menu, choose My Account. The Account Settings tab is selected automatically. Click on the Change option and enter your new password. If you should forget your password, then click on the ‘Forgot your password?’ or ‘user name’ links, and you will be sent an e-mail with a link to change your password. Should you not want some or all family members information to be included in the Directory, unclick the checkboxes to indicate your preferences. Similarly, please review the Viewing Preferences, choosing whether to see or not to see available photos when you view a directory. Checkbox is empty (photos WILL appear). Checkmark appears (photos will NOT appear). After you receive a password, you can also download and use the ChurchLife mobile app. Instructions for downloading and using the app can be found by clicking here. 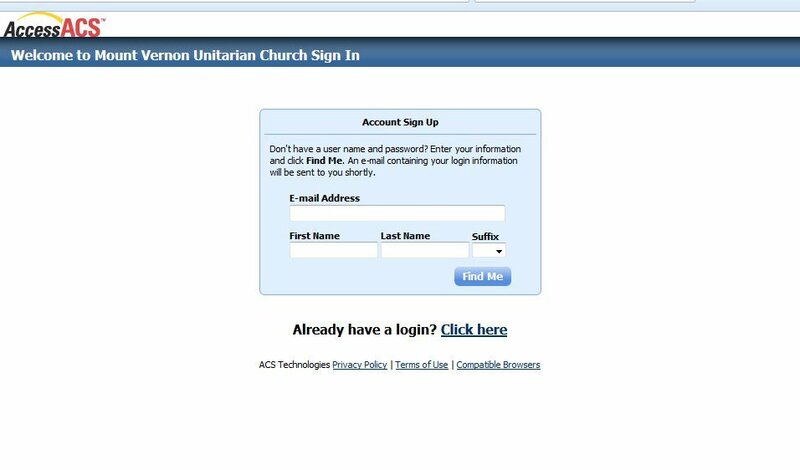 These instructions can also be reached from the Access ACS Login screen by clicking on the “Go Mobile” link (the black and gray oval shape near the lower right corner of the blue name and password box).